How did the Kleins feel about becoming godparents? 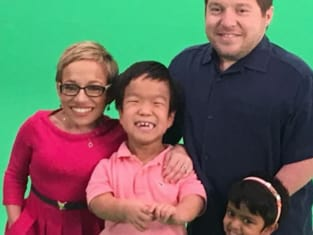 That was revealed on The Little Couple Season 11 Episode 4 when they made their way to Charlotte to attend Jen's nephew's baptism. Meanwhile, Will and Zoey surprised their uncle with a homemade birthday cake, but did the drama at the party ruin the act of goodwill from the children? Also, the Kleins learned some shocking news about someone closest to them. Get caught up on the latest trip for the family.